You may choose to execute an end to end deployment without displaying the instructions and scripts provided by default. 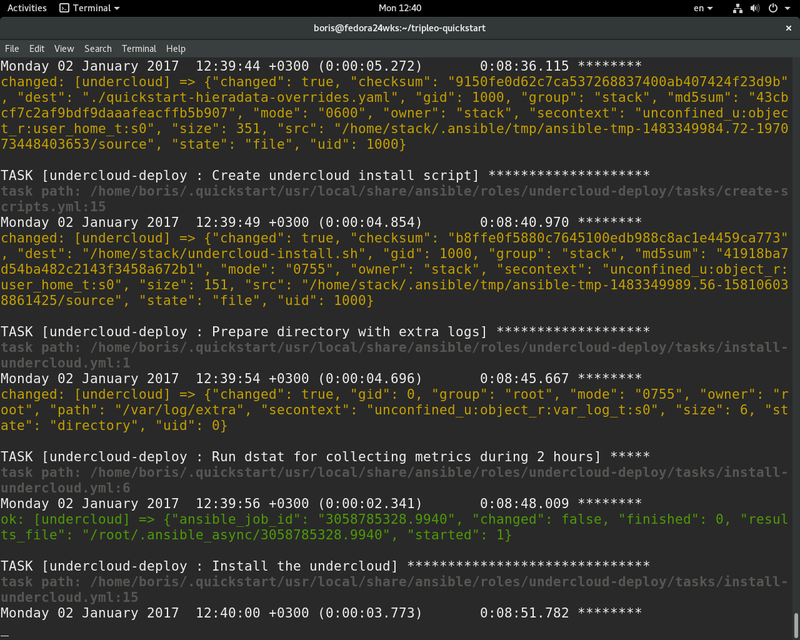 Using the --tags all flag will instruct quickstart to provision the environment and deploy both the undercloud and overcloud. 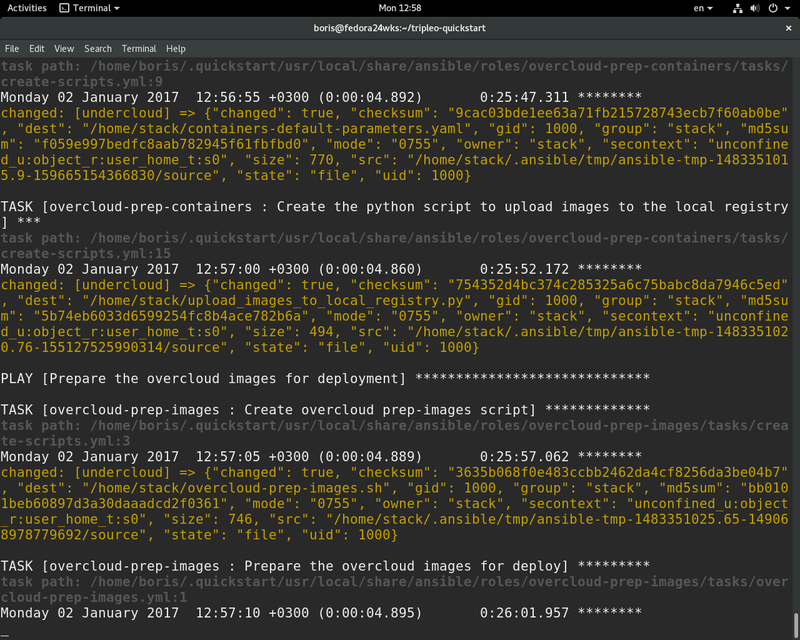 Additionally a validation test will be executed to ensure the overcloud is functional. 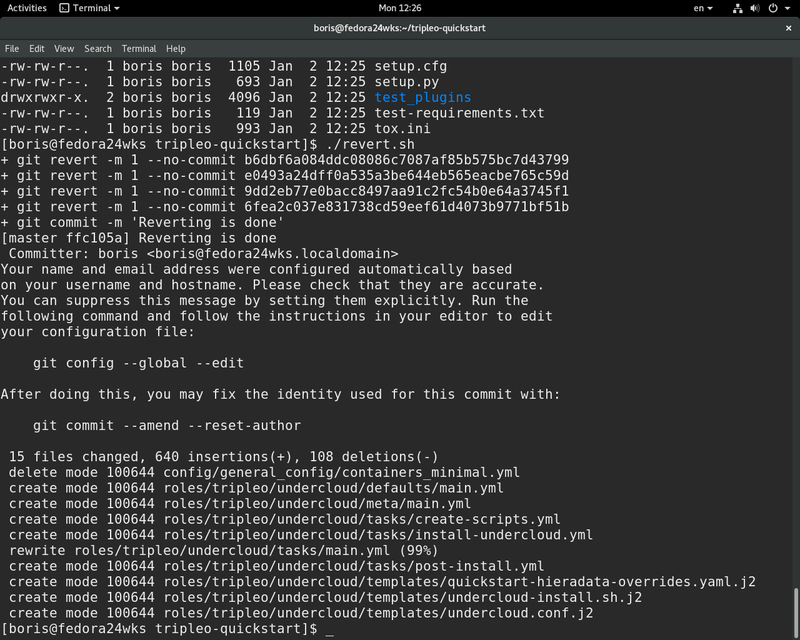 remote: Counting objects: 5741, done. Receiving objects: 100% (5741/5741), 914.60 KiB | 686.00 KiB/s, done. Resolving deltas: 100% (2977/2977), done. Warning: Permanently added ‘192.168.0.74’ (ECDSA) to the list of known hosts. The authenticity of host ‘192.168.24.13 (192.168.24.13)’ can’t be established. ECDSA key fingerprint is b2:a5:15:6f:ce:04:39:df:37:3a:eb:81:af:d5:68:c9. Warning: Permanently added ‘192.168.24.13’ (ECDSA) to the list of known hosts. You are currently browsing the Xen Virtualization on Linux and Solaris blog archives for January, 2017.